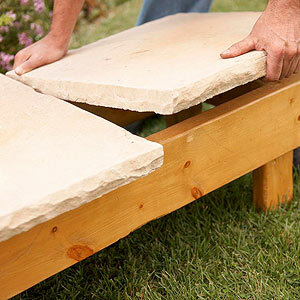 With basic materials and an afternoon, you can craft a perch for enjoying your garden. 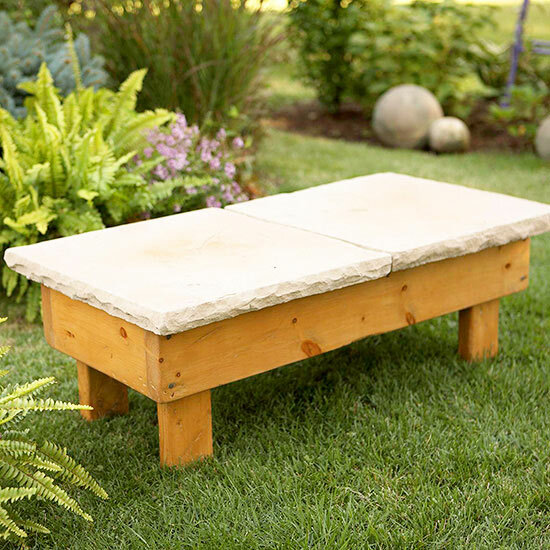 This sturdy bench — or coffee table if you prefer — is meant to look weathered and worn. 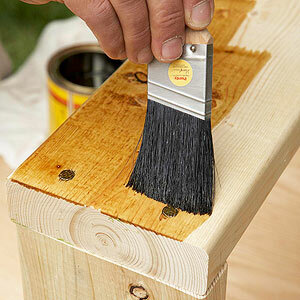 We fashioned it from building-grade lumber, then roughed up the wood surface even more using an awl and wire brush. 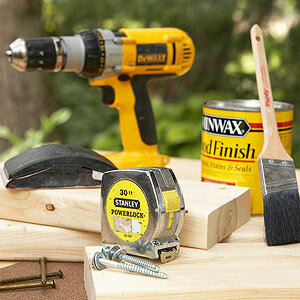 You could really go to town with chains and other tools to distress the wood before staining. Select natural hearthstones or budget-friendly cast-concrete ones like we did. 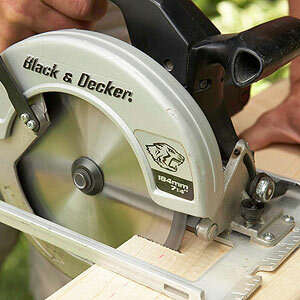 Cut two 12-inch end rails from 2×6. Cut remaining 2×6 into two 33-inch pieces for side rails. Cut four 12-inch legs from the 2×4. 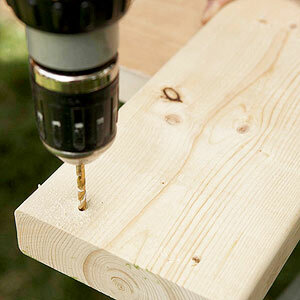 Drill two holes through side rails. 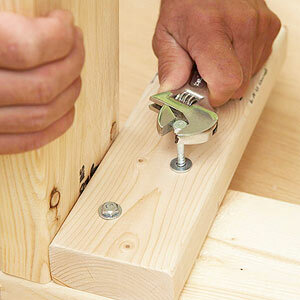 Keeping corners square, drive nails through holes in side rails and into the end rails to make a frame. Drill two staggered holes in one end of each leg. 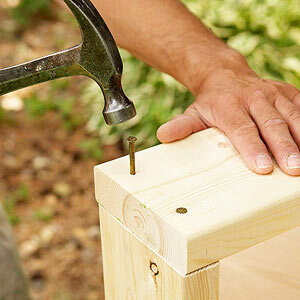 Place legs inside frame, mark holes, then drill ½ inch deep into rails. Attach legs with lag screws and two washers under each head. 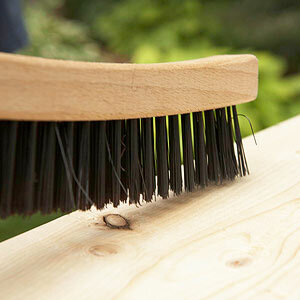 Use a steel-wire brush to distress. For deep distressing use an awl and chain. Sand edges, wipe with a tack cloth, then apply stain. Let dry then seal. Treat stones with sealer if desired, then place on base, leveling with shims or modeling clay. 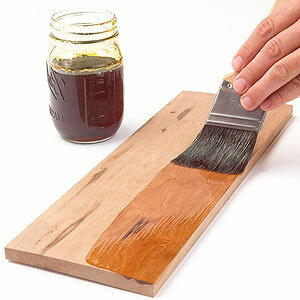 Create a traditional stain using 1½ ounces chewing tobacco and 1 pint ammonia. Cover tightly, let stand five days, then strain through cheesecloth before applying.